President Donald Trump meets with members of his Cabinet, in the Cabinet Room of the White House in Washington, Jan. 10, 2018. 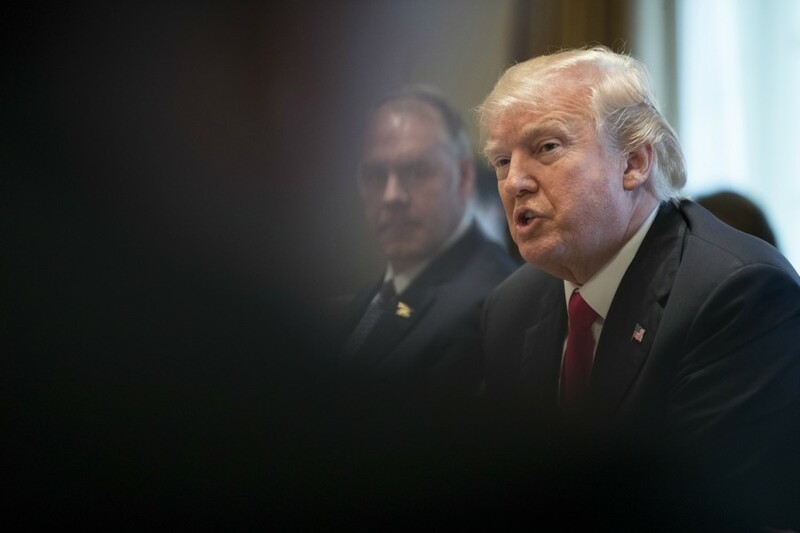 WASHINGTON — President Donald Trump on Friday issued the first veto of his presidency, rejecting legislation that opposed his declaration of a national emergency to fund a wall along the southern border. The bill blocking Trump’s emergency declaration had attracted significant Republican support in Congress. The president’s veto, which was expected, will send the legislation back to Congress, which most likely does not have enough votes for an override, meaning that Trump’s declaration will remain in effect. The president has long insisted that there is a security and humanitarian crisis at the border with Mexico, an assertion that was undercut by Trump himself when he acknowledged that he could have waited to issue his declaration. Democrats seized on those words and cited government data that shows there has been no flood of criminal migrants coming into the country. Some Republicans shared that view. But others said they opposed the president on the grounds that it was the duty of Congress to appropriate taxpayer dollars and that Trump had exceeded his authority. On Thursday, a dozen Republicans joined Senate Democrats in voting to overturn Trump’s emergency declaration, in a 59-41 vote. “Never before has a president asked for funding, Congress has not provided it and the president then has used the National Emergencies Act of 1976 to spend the money anyway,” Sen. Lamar Alexander, R-Tenn., said after the vote Thursday. Sen. Jerry Moran, R-Kan., said he thought Trump’s declaration was unconstitutional. Even if Congress fails to override the veto, the emergency declaration is already being challenged in court. “Even members of President Trump’s own party are beginning to realize that he is a one-man constitutional crisis,” Anthony Romero, executive director of the American Civil Liberties Union, said in a statement.